We have worked with CREGG Logistics on several projects. CREGG Logistics offers warehousing and distribution services to a wide variety of clients from its base in Shannon, Ireland. 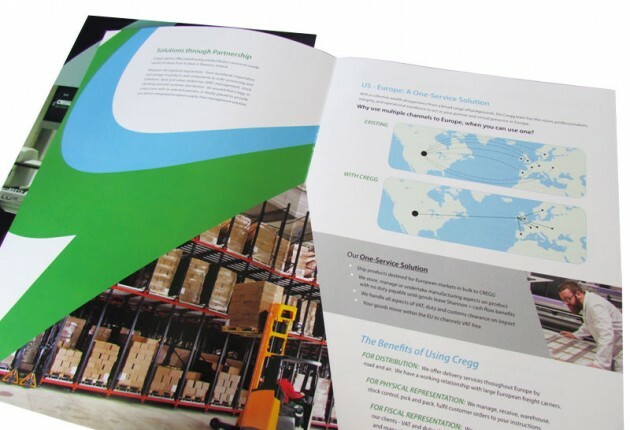 Whatever the logistical requirement – from worldwide importation, storage of products and components, order processing and fulfilment, duty and value-added tax (VAT) management, stock-checking, and end-customer distribution – CREGG Logistics, in conjunction with its selected partners, is ideally placed to provide clients with an integrated European Supply Chain Management Solution. 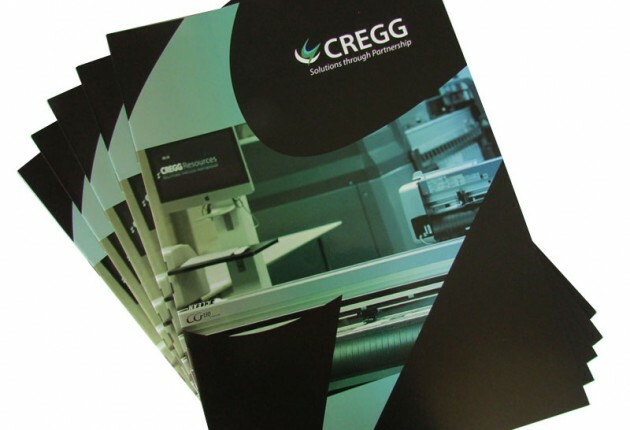 Our first project was to refresh the brand identity for CREGG which is part of the wider CREGG Group. We kept the design and corporate colours consistent and made the required tweaks for CREGG with the tagline “Solutions through Partnership”. Our next project was to design a new corporate A4 brochure with 8 pages in total. We designed the cover with a very strong black solid as this is one of the corporate colours. We also printed the front cover to include a Spot UV which lifts the main image on the cover, adding a classy finish and working very well against the matt black. The flow of the brochure is very important. With the help of our strategic partners in photography and copywriting, we worked as a team to complete the brochure. We also incorporated stock photography as required. 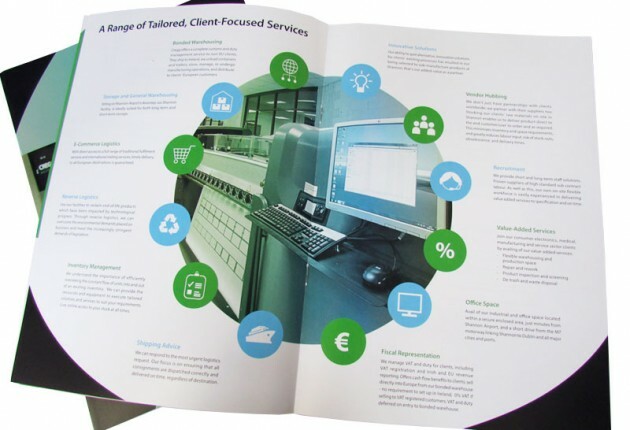 The centre page was designed to focus on the twelve services that CREGG provides. This helps clients to visualise and quickly understand the exact type of service that is relevant to them. The style throughout is clean and we also strongly incorporated the brand identity shapes. As you can see, this helped us to divide information sections through use of colour shapes and blocks. Following sign off of the brochure, we redesigned the sales PowerPoint presentation. The presentation includes all relevant details and was designed to make it easy to edit. Log onto www.cregg.ie to learn more about the business.